We’re excited to announce the New Wave Trade Paperback Book Club! 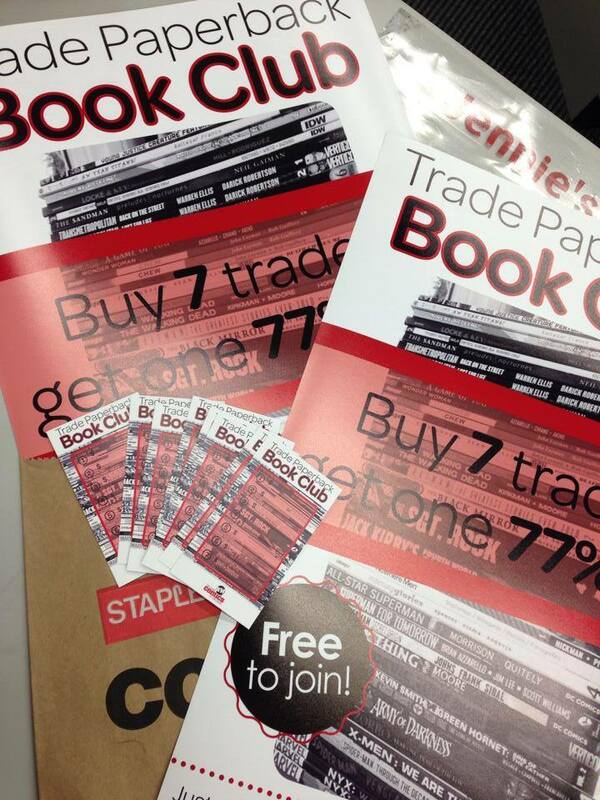 For every 7 trade paperbacks you purchase at New Wave, you’ll receive 77% off your 8th one. Joining is free and easy: Simply ask for your club card the next time you’re in the shop. Each time you make a purchase, we’ll stamp your card and write in the amount. Once you earn 7 stamps, we’ll take the average price of the books you bought, and you can choose one of equal or lesser value at 77% off. Easy peasy!